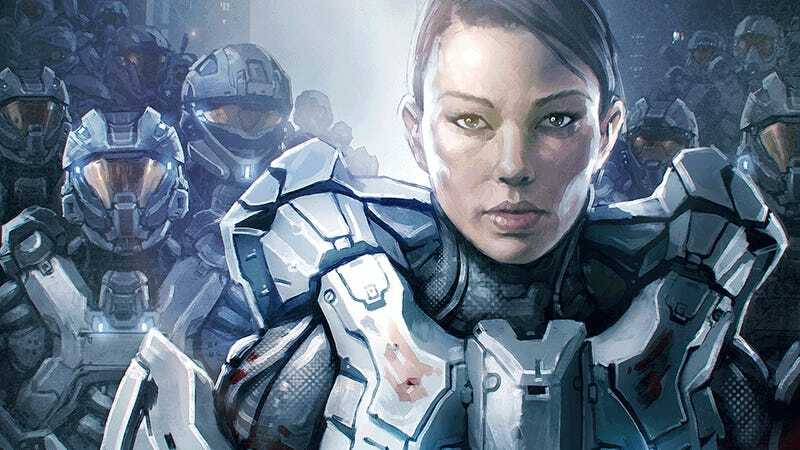 It's not often that video game artists make the headlines, but Kenneth Scott made a few this week when he left his post as art director at 343 studios. That's kind of a big deal for fans because he was in charge of shaping the series' visual identity. It's far from terrible news - his replacement, Sparth, is one of the best sci-fi artists on the planet - but now's as good a time as any to look back on some of Scott's fantastic work on the franchise. While he most recently helped Microsoft put their own stamp on Halo - perhaps most notably changing the game's colour palette and going for a grittier look to Halo's human tech - prior to that he'd spent over a decade at id Software, where he'd worked on games like Doom 3 and RAGE. So you're going to see stuff from them as well. You can see more of Kenneth's work at his personal site.